Backpacking is a popular recreation in some parts of the world. Backpackers come in group, pair while there are also some who do the solo expedition. Travelers find it the most pleasurable, inexpensive way to explore a new place and experience nature. 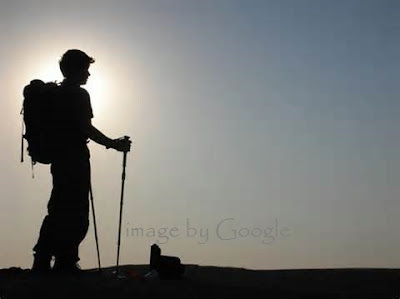 Like any other outdoor activities it also requires a certain level of fitness, proper gears and the basic hiking essentials such as food, water, clothes, first aid kit, fire making items, a map and maybe an sm57 at musicians friend if you're up to videoke singing at night with your buddies. Of course you don't want to miss the beauty of wilderness so always have that camera handy. Above all, you need to secure a safe place to stay if you are to travel from one country to another. Doing an online hotel reservation is the easier and the economical way to do it. When I was in Cebu a couple years I've came across with so many backpackers coming from different countries and somehow I pondered... there must be something in that activity aside from pure fun that they find so rewarding. Later I realized perhaps, it's just the simplicity of it.